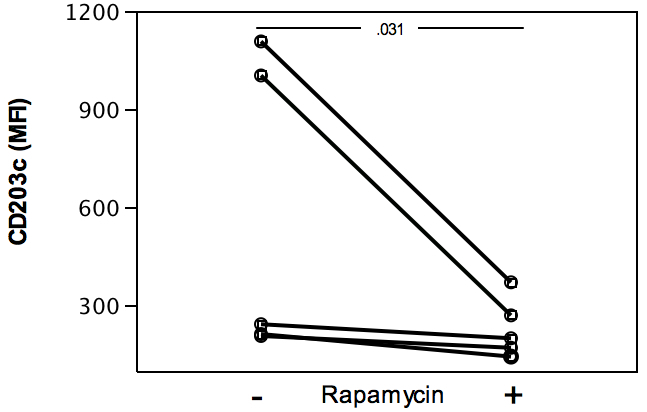 The mammalian target of rapamycin (mTOR) pathway contributes to various immunoinflammatory processes. 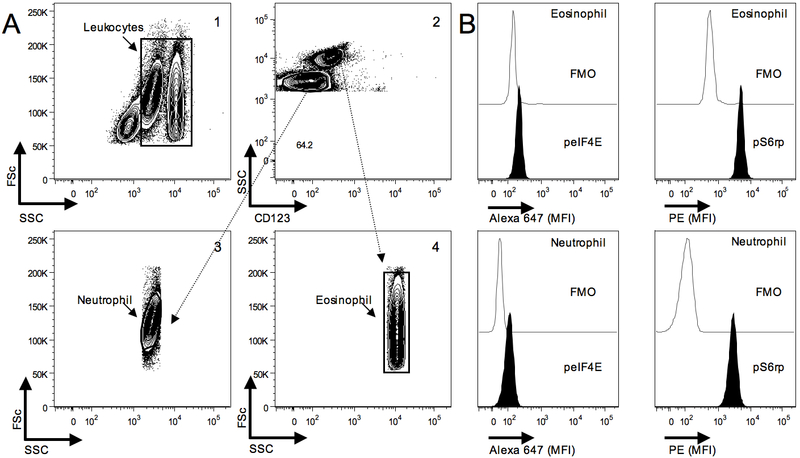 Yet, its potential involvement in basophil responses in allergy remains unclear. 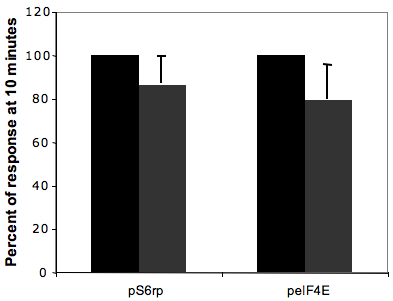 In this pilot study, we quantified two key mTOR effector phosphoproteins, the eukaryotic initiation factor 4E (peIF4E) and S6 ribosomal protein (pS6rp), in blood basophils from nut allergy patients (NA, N = 16) and healthy controls (HC, N = 13). 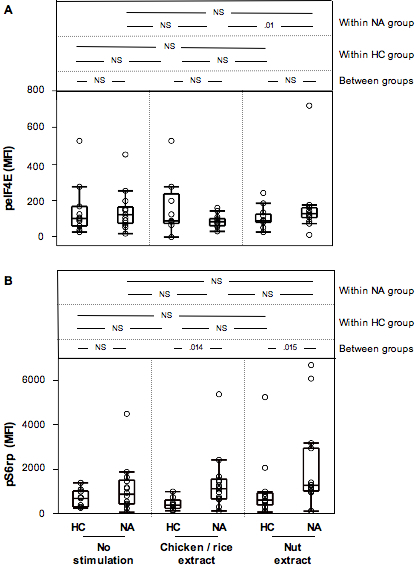 Without stimulation in vitro, basophil peIF4E levels were higher in NA than HC subjects (P = 0.014). 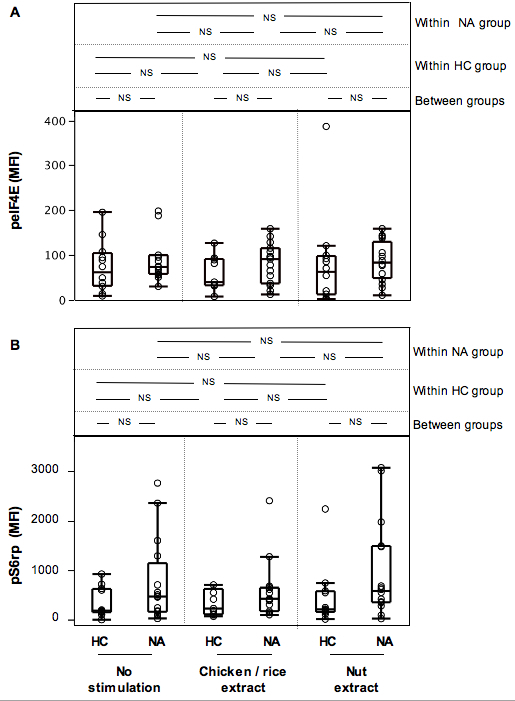 Stimulation with nut (offending) but not chicken / rice (non-offending) extract increased basophil peIF4E and pS6rp levels (+32%, P = 0.018, and +98%, P = 0.0026, respectively) in NA but not HC subjects, concomitant with increased surface levels of CD203c and CD63, both known to reflect basophil activation. 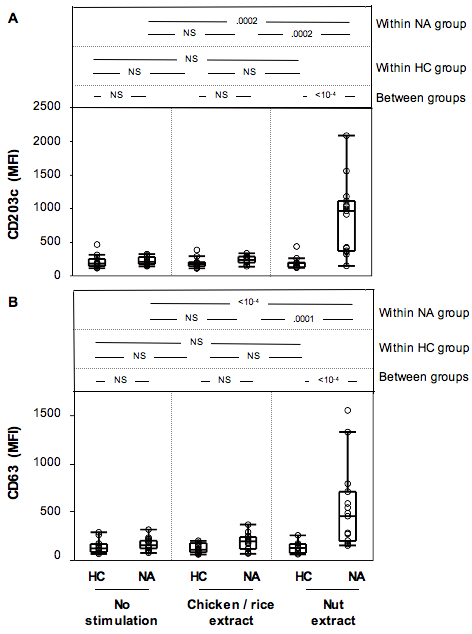 Pre-treatment with the mTOR inhibitor rapamycin decreased pS6rp and CD203c responses in nut extract-stimulated basophils in NA subjects. 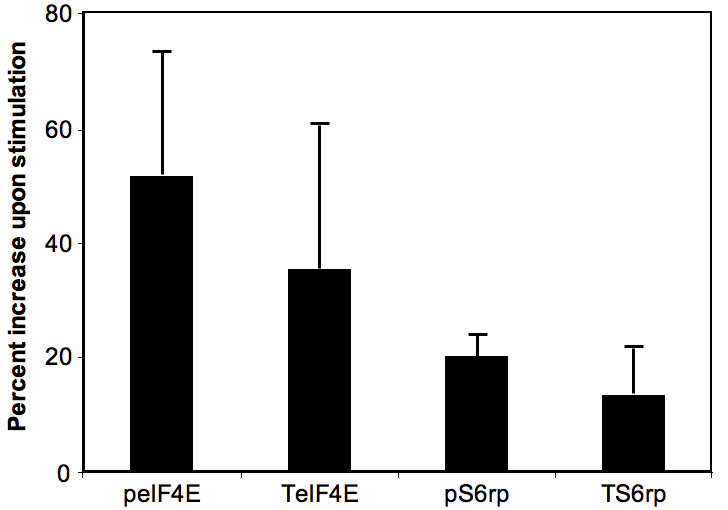 Thus, basophil responses to offending allergens are associated with modulation of mTOR effector phosphoproteins. 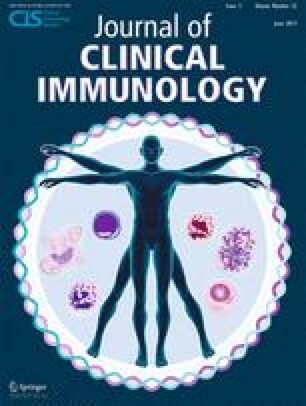 Yael Gernez and Rabindra Tirouvanziam contributed equally to studies presented here and share first authorship. The online version of this article (doi: 10.1007/s10875-012-9651-x) contains supplementary material, which is available to authorized users. We thank our subjects for their participation; C. Crumpton and J. Van Dyke at the Stanford FACS Facility for technical support; Drs. K. Atkuri, E. Ghosn, A. Kumar, K. Mukai, P. Sadate-Ngatchou, and M Tsai, as well as C. McDonald-Hyman for critical advice; Dr. V. Saper for recruiting two subjects; and M. Miglianico and E. Hoyte for technical assistance. The authors declare to hold no conflict of interest with the publication of the results included in this manuscript. Stanford School of Medicine’s Dean Fellowship (YG), Stanford Morgridge and Gallo Fellowship (YG) and the Stanford Institute of Immunity, Transplantation and Infectious Diseases Seed Grant (KCN), Orsak Family Fund (KCN), the Skippy Frank Foundation (RT and YG), the Stanford School of Medicine SPARK/SPECTRUM program (YG and KN), and United States Public Health Service grants AI23990, AI070813 and CA72074 (SJG).